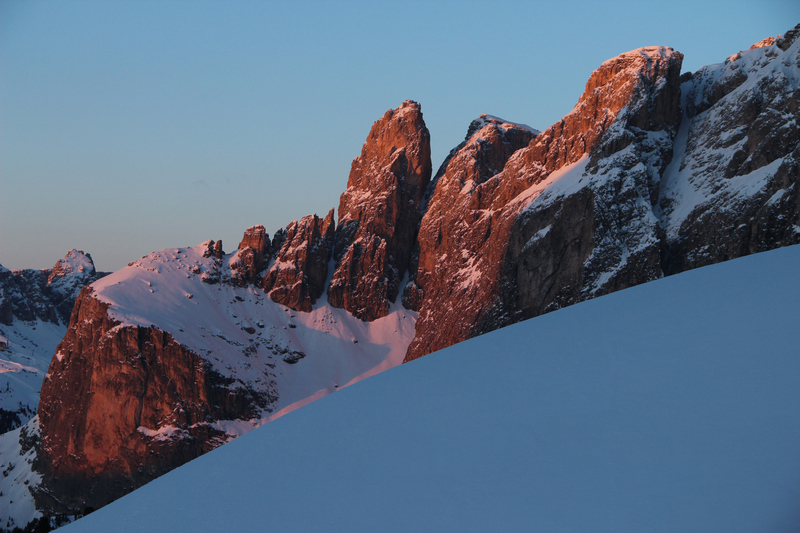 Don’t miss the special offers, even last minute, in the heart of the Fassa Dolomites! Special rooms for families or couples who are looking for a friendly atmosphere. To us is important that our guests feel comfortable, like in a second home. Booking online you will benefit from our best seasonally prices. Fill the form below, fast and direct, we will answer you as soon as possible. Our garnì, at the foot of Aloch, a night ski slope, is a bed and breakfast. Our breakfast buffet is open from 7.30 a.m. until 10.30 a.m. CHECK IN from 2.00 p.m. until 8.00 p.m. Reception hour 9.00 a.m. – 9 p.m.
A deposit is required at booking, 30% of the total stay (or you can provide credit card details). Kitchen use in the junior suites: 5,00 € per day. We are available for any logistic information for your holiday. If we do not have to answer leave a message! Ask availability, expose your doubts or requests, we will reply as soon as possible. “Garnì Val de Grepa” is situated in Pozza di Fassa, close to the centre, but off of the main road. Closest airports are Verona and Innsbruck, but also Venice, Treviso and Munich are easily reachable. • Highway exit EGNA – ORA, SS 48 of the Dolomites, San Lugano mountain pass, Fiemme valley, Fassa valley. In Pozza there is a roundabout, turn on your right towards Meida. Before ski slope Aloch there is a small hill on your right. Take the hill till the end, and there you will find us. • Highway exit BOLZANO NORD, SS 241 Grande Strada delle Dolomiti, Ega valley, Carezza mountain pass, Vigo di Fassa. Coming down from Vigo turn on your left towards Pozza/Canazei. In Pozza there is a roundabout, turn on your right towards Meida. Before ski slope Aloch there is a small hill on your right. Take the hill till the end, and there you will find us. • From the highway A27 (Venice) exit Belluno/Ponte nelle Alpi, SS 203 to Agordo, San Pellegrino mountain pass.down of San Pellegrino turn on your right direction Pozza/Canazei. In Pozza there is a roundabout, turn on your right towards Meida. Before ski slope Aloch there is a small hill on your right. Take the hill till the end, and there you will find us. • From Arabba, SS48 Pordoi mountain pass, Canazei, come down throught Val di Fassa until Pozza roundabout. you turn on your left toward Meida. Before ski slope Aloch there is a small hill on your right. Take the hill till the end, and there you will find us. • Fedaia mountain pass (from Roccapietore) and Sella mountain pass (from Gardena valley), reach Canazei, come down throught Val di Fassa until Pozza roundabout, turn on your left towards Meida. Before ski slope Aloch there is a small hill on your right. Take the hill till the end, and there you will find us. With any bus you will arrive here (Trentino trasporti, SAD, Fly Ski shuttle from the airports, Autostradale) we will be glad to pick you up at the closest bus stop (Vac – Pera di Fassa) with our private shuttle.